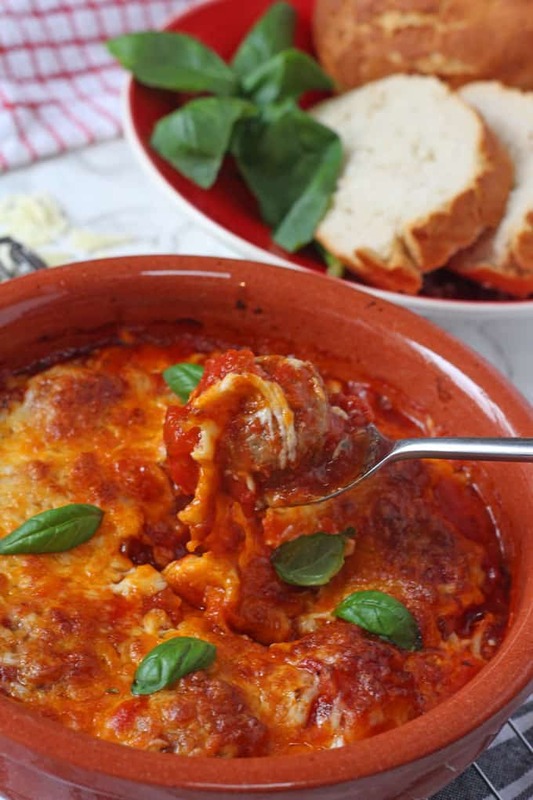 A delicious recipe for smoky baked chipotle meatballs topped with mozzarella and a review of Spontex Fizz Express tablets! The weather has finally turned colder and it definitely now feels like Autumn has well and truly arrived. 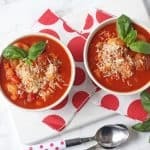 With the days become shorter and the night drawing in earlier and earlier, I’m starting to plan some lovely comforting meals that will take us through winter! 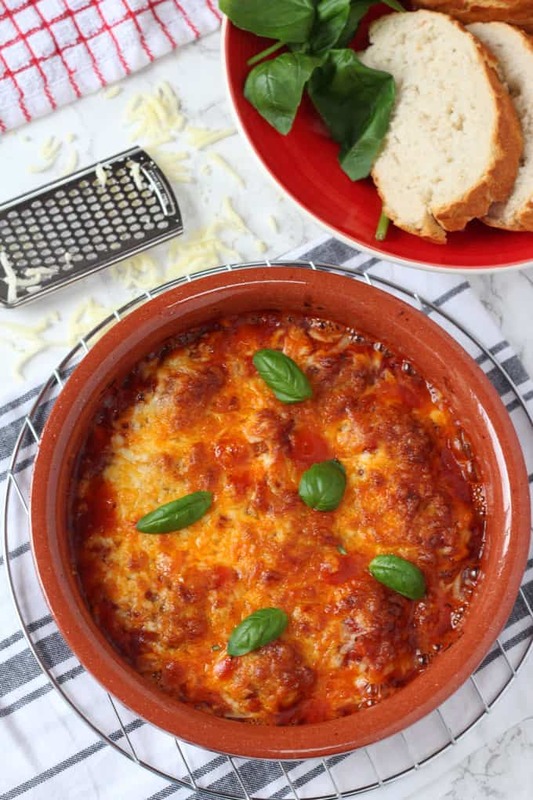 The first on my list is this delicious Smoky Meatball & Mozzarella Bake; an irresistible mix of beef meatballs, spicy chipotle paste and gooey creamy mozzarella cheese! It literally has got comforting home cooking written all over it! But whilst my family all love a delicious rib-sticking meal like this on a chilly evening, what I don’t enjoy is having to soak and scrub the pot afterwards! There’s something about the combination of cheese and tomato that seems to just mold itself to dishes, making it impossible to remove even after hours of soaking! 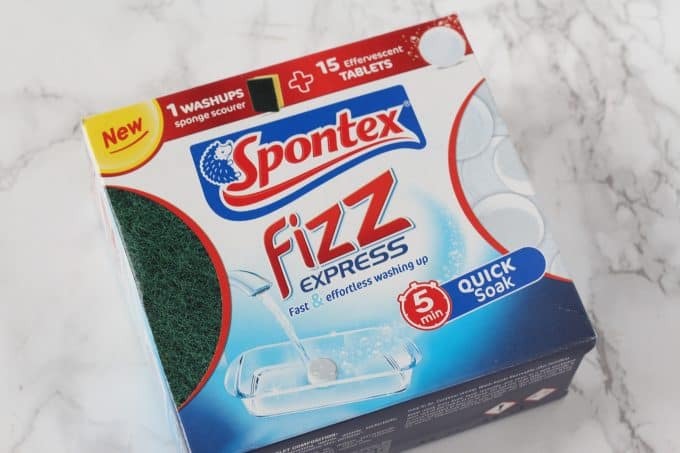 But I’ve teamed up with Spontex to try out their Fizz Express tablets. 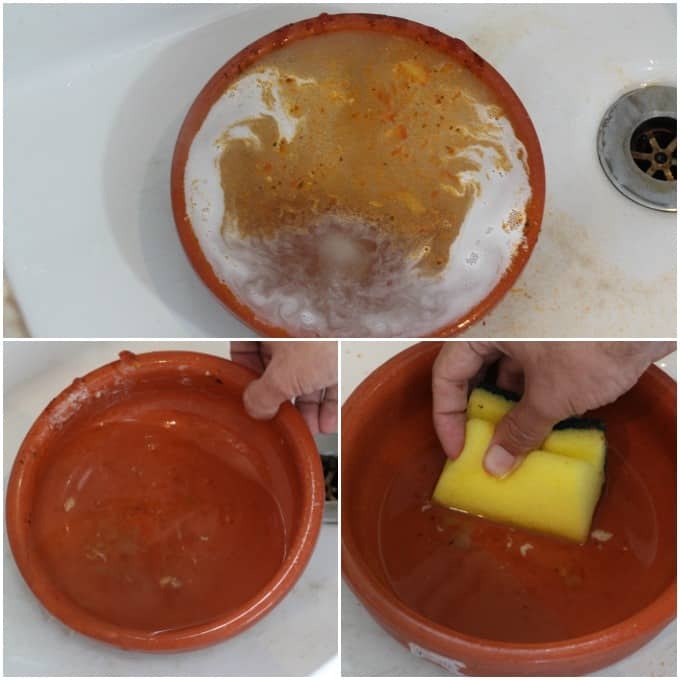 They claim to make washing up fast and effortless with the first ever solution for hand dishwashing that attacks & removes stubborn burnt-on food and stains in 5 minutes. So how did it fare….? I have to say I was really impressed with this product. Each packet contains 15 tablets and one washing up sponge. 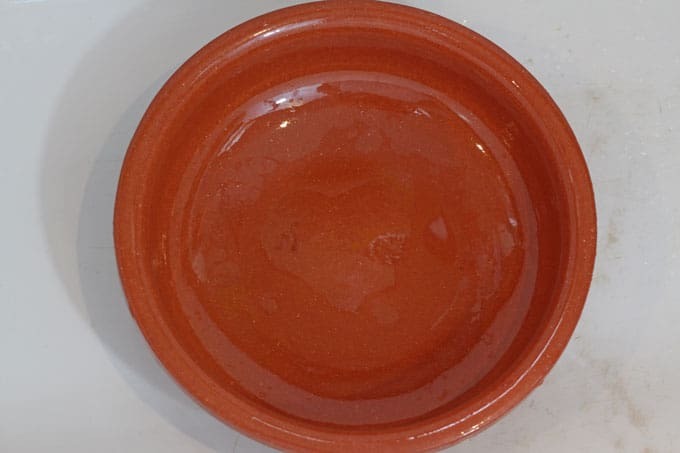 You simply add some hot water to your dish, pop in the tablet and leave it for just 5 minutes. 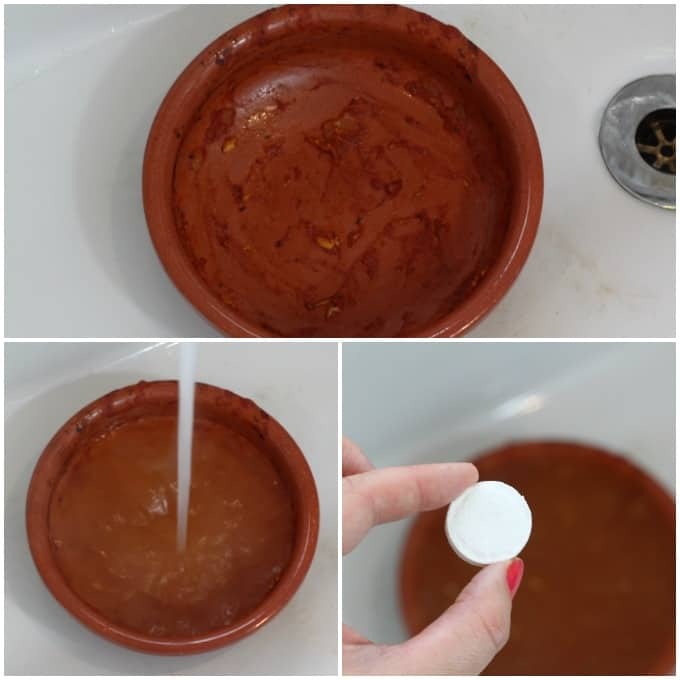 Once the 5 minutes are up, pour out the water and use the sponge to rub away any remaining traces of food. The food literally came away in just a couple of wipes. I didn’t have to scrub or scour the pot in any way which was a first for me as this kind of pot usually causes food to stick really bad. I loved the fact that it only took 5 minutes to work too. There’s nothing worse than having to soak a dish overnight and then start scrubbing it the next morning. Fizz Express tablets are currently on offer on their website for just £2 for a pack of 15 (bargain!) if you want to try them out for yourself on your own stubborn dishes! Heat the oil in a frying pan and add the onion. Fry gently for 2-3 minutes until the onion starts to soften. Add the garlic and cook for another minute. Add in the meatballs and fry them for approximately 3-4 minutes, moving them around the pan to seal the outside. Mix in the chopped tomatoes, chipotle paste, dried herbs and water. Stir everything well and leave to simmer for 10-12 minutes until the meatballs have cooked through. 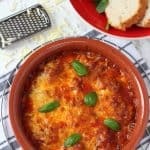 Transfer the meatballs and sauce into an oven-proof dish and top with the grated mozzarella. 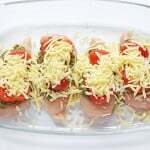 Bake in the oven for 10 minutes until the sauce is bubbling and the cheese is melted and brown. Serve immediately with crusty bread and a side salad. 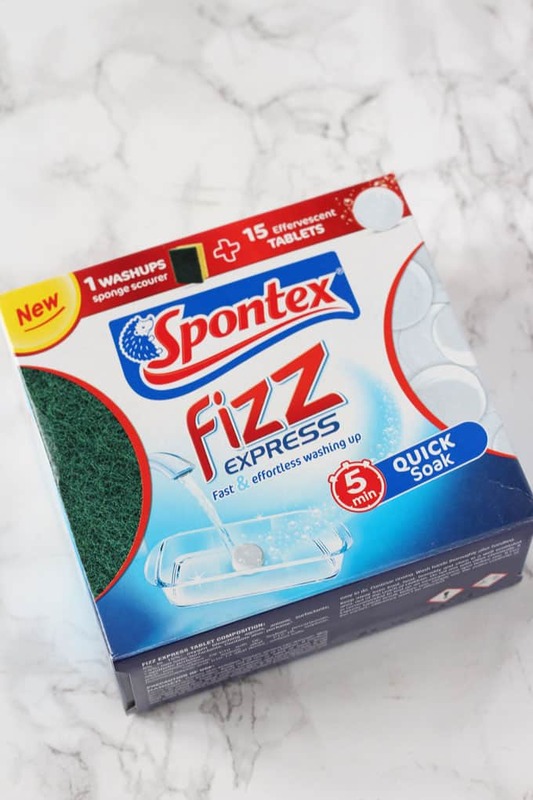 Don’t forget the Fizz Express when washing up! DISCLOSURE: I have been compensated for my time spent working with Spontex on this project. However, as always, all thoughts and opinions are honest and are my own. I haven’t tried the fizzy tablets but this recipe is amazing! I did go a little bit overboard with the chipotle as it was just for my husband and I so it was super hot so will follow the recipe exactly next time (!) but it still tasted great!